The 30th edition of the DACE Price Booklet, in combination with the new website www.dacepricebooklet.com, is out now! The 30th edition of the DACE Price Booklet offers invaluable guidance while preparing and comparing cost estimates. The booklet and website provide (online) cost information for almost any part of industrial process facilities. Specific and detailed information is available for various disciplines, such as process, piping, mechanical, electrical, instrumentation, structural and civil engineering. Composite unit rates are given for surface area of production, warehouse, office and laboratory facilities. 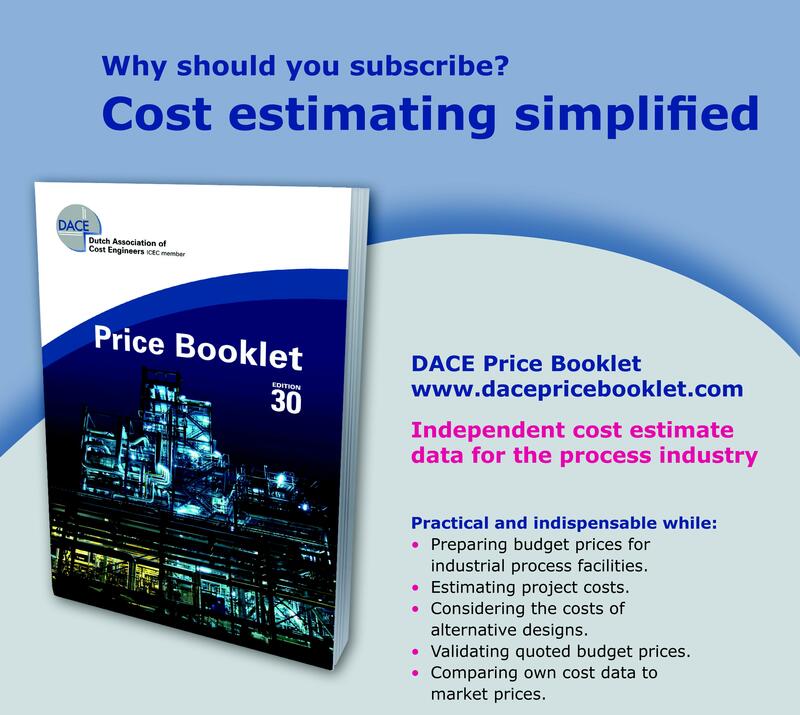 The DACE Price Booklet and website represent actual costs incurred by members of the DACE Special Interest Group Cost Engineering Process Industry: Cost experts who are actively involved in investment projects, at the core of practice. As such, this kind of pricing has great additional value in comparison to catalogue prices. To order DACE Price Booklet or take out a subscription, please visit www.dacepricebooklet.com or www.bimmedia.nl.